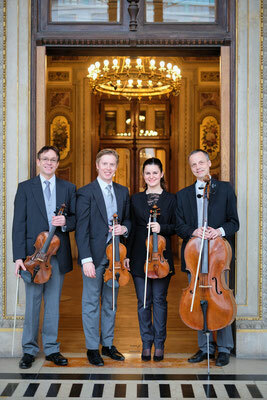 The Phileo Ensemble is an exciting new group comprised of members of the renowned Vienna Philharmonic. 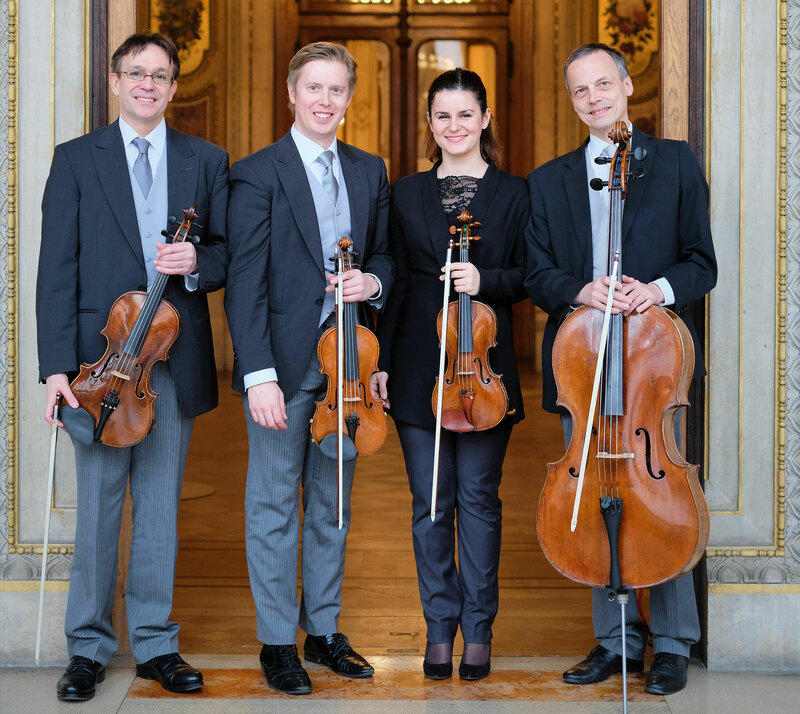 The musicians share the passion of performing chamber music to the public and have performed in many countries around the world including the U.S.A., Japan, China, Germany and Austria. The Phileo Ensemble's last concert was at a music festival in Austria, performing a wide range of chamber music, from Stamitz to Kodaly. The ensemble has a particular passion for Folk music, and places great importance on the preservation of this dying art, and their servitude to Classical music as a whole. Benjamin is a first violin member of the Vienna Philharmonic and is a member of the Vienna State Opera Orchestra since 2014. Born (in 1986) and raised in New Zealand, Benjamin studied in with Professor Stephen Larsen from the age of 7, culminating in winning the national concerto competition at age 17. In 2006 he continued his Tertiary studies with the New Zealand Symphony's Concertmaster, Vesa Matti-Leppänen and in the same year won the New Zealand School of Music's Concerto Competition. In the winter of 2006, Benjamin was the concertmaster for the New Zealand National Youth Orchestra, a position he held for two more years (2008, 2009). In 2007, Benjamin won first prize in both recital and concerto categories of the Rotorua National Music Competitions. In September of the same year, he moved to Graz, Austria to study with Professor Yair Kless at the Music University of Graz. In Austria Benjamin has built a career as a soloist and Chamber Musician, as well as leading many Chamber and Orchestral ensembles. He has been a Prize winner in Austrian National Competitions such as "Martha Debelli" and "Gradus ad Pernasum" as well as being a prize winner in international competitions such as The Michael Hill International Violin Competition (2011) and the International Brahms Competition (2013). In 2010 he was awarded a Prize from the city of Graz for outstanding achievement in the arts, and in the same year was a prize winner at the International Summer Academy in Salzburg. His piano Trio, the Morrison Piano Trio, has enjoyed much success in competitions and has performed in various venues around the world. Benjamin's most recent engagement saw him performing Shostakovich's first Violin Concerto with the Color Philharmonic in Tokyo, Japan. In December 2016 he performed with the Nikolai String Quartet at the Kennedy Center in New York. Benjamin has two instruments as his main performing instruments, one made by his father, David Morrison in 2006 and a Gagliano made in 1770. Adela Frasineanu (*1986 in Brasov/Romania) began her violin tuition at a local music school in Nordhausen. At the age of 10, she entered the class of Prof. Karl- Georg Deutsch at the Franz Liszt Hochschule für Musik in Weimar, before changing in 2001 to Carl Philipp Emanuel Bach’s specialist music school in Berlin, as well as attending the HfM Hanns Eisler. During this time she took lessons with Prof. Joachim Scholz. From 2005 onwards she studied with Prof. Christiane Hutcap at the Hochschule für Musik und Theater Rostock before beginning a bachelor degree as a full student in 2006. In 2008 she transfered to Mozarteum University in Salzburg where she was accepted into the class of Prof. Igor Ozim. Under his guidance, Miss Frasineanu completed her Bachelor studies with distinction in January of 2011. From March of the same year, she studied as a masters student with Prof. Benjamin Schmid. She has attended masterclasses from many esteemed professors such as Wolfgang Marschner, Zakhar Bron, Roman Nodel, Rainer Kussmaul and Ana Chumachenco. In 2004 she won first prize in the Solo and Chamber music categories of the National competition “Jugend Musiziert”. In the same year, she successfully won first prize and the gold medal at the Queen Sophie Charlotte international violin competition in Mirow, Germany. In 2005 she received first prize with her piano trio “Pia Vioce” at the Deutsche Bahn National Chamber Music Competition and the International Chamber Music Competition Interlaken, Switzerland. She recently won first prize at the 16th international Johannes Brahms competition in Pörtschach, Austria. Miss Frasineaunu has performed both as a soloist and as a chamber musician, having given concerts in Germany, Japan, China, Poland, Spain, Romania, Finland and Switzerland. 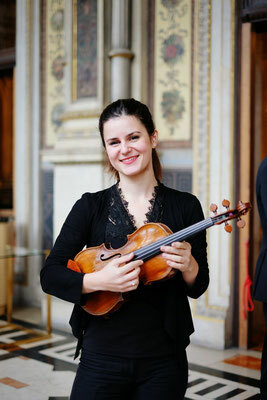 She has worked in various orchestras such as the Vienna Symphony Orchestra, Gewandhausorchester Leipzig, second violin section leader for the Mozarteum Orchestra Salzburg, Mahler Chamber Orchestra, the Camerata Salzburg and Gustav Mahler Youth Orchestra. Since September 2014, she is employed full time by the Orchestra of the Vienna State Opera and in September 2017 she was appointed as a member of the Vienna Philharmonic Orchestra. Benedict is a violinist with the Vienna Philharmonic Orchestra and his sister Elinor was the second violinist with the Australian String Quartet for nine years, and now works as associate concertmaster with the Tasmanian Symphony Orchestra. Tobias received his early music education from the Flinders Street School of Music in Adelaide. Aged 12 he began violin studies with Ronald Woodcock at the Elder Conservatorium in Adelaide. South Australian Opera Orchestra and as a casual member of the Australian Chamber Orchestra. He graduated with distinction in 1986 and immediately left for Vienna to continue his studies, changing from violin to viola. After four years of intensive study at the Vienna Hochschule für Musik, with Prof. Siegfried Führlinger, he won the position of Principal Viola of the Teatro alla Scala opera house in Milan under Riccardo Muti. 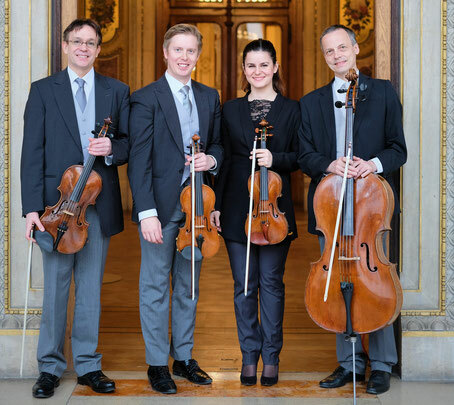 During the following four years he learned a great deal of the opera repertoire and was also invited to join the Quartetto della Scala, giving concerts around the world. Vienna Chamber Ensemble amongst various other groups. His extensive experience as a soloist includes performances of Mozart’s “Sinfonia Concertante” with he Vienna Philharmonic under Riccardo Muti, in Vienna, Japan, Canada, South America and New York’s Carnegie Hall. He also performed Bartok’s Viola Concerto in Vienna’s Musikverein Hall, again with the Vienna Philharmonic under Riccardo Muti. Working with students is a particular passion of his, and he has held masterclasses all over Europe, as well as in Japan, South East Asia, India, the United States, the United Kingdom and Australia. Since 1990 Raphael is a member of the Vienna State Opera Orchestra. 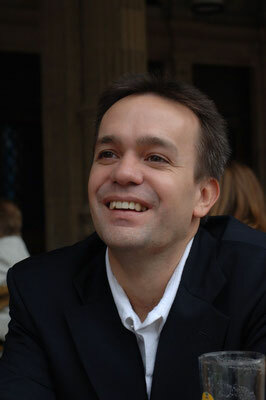 In 1993 he became a member of the Vienna Philharmonic Orchestra and since 1996 he is a section leader. Cellist, Raphael Flieder, was born in Vienna, Austria. From 1968 he studied at the Vienna Conservatory with Richard Matuschka and graduated in 1979 with distinction. He furthered his studies in Geneve with Pierre Fournier, and in Berlin with Eberhard Finke at the Karajan Academy. In 1973 he won the 1st Prize at Young Musicians' Competition in Austria. In 1979 he was awarded the Bronze Medal at the Geneve International Competition. 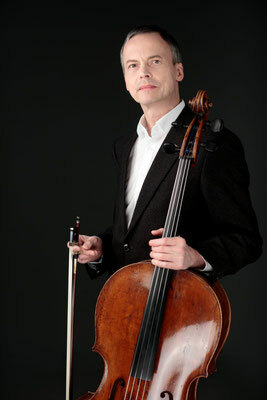 He was a solo cellist of the Tonkünstler Orchestra from 1985 and 1990. Raphael Flieder is member of the traditional Wiener Hofmusikkapelle and the Ensemble Kontrapunkte, which is focussed on music of the 20th and 21st century.